We are delighted to have been selected to receive an a-n Bursary to allow us to visit the Venice Biennale during preview week in early May. 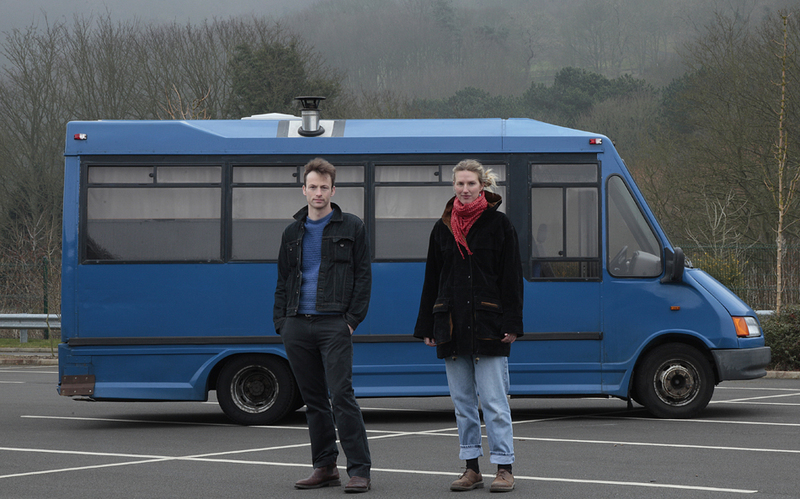 We will be traveling in ‘Mistress Enid Abbott’, our converted mini-bus, making the over 2,500 mile round trip part of our experience, and providing a concentrated period to anticipate and reflect on the work we encounter at Venice. Stuart Cameron, the director of Crescent Arts where we are resident artists, is curating the Welsh Pavilion at Venice Biennale 2015. The Welsh artist for 2015 is Helen Sear, whose work has greatly inspired our practice. During 2011, we worked alongside Helen, installing her video installation exhibition ‘Pond’ at Crescent Arts. Helen’s work for Venice is photography and film installation. Being at Venice Biennale 2015 for the preview week means we will meet Helen again, and have a rare, first-hand, behind the scenes experience of what it takes to install film and video work at the highest level. We have also been invited to take part in PRESS ROOM, a temporary community coming together for an intensive period of dialogue and creative investigation over the period of the Venice Biennale preview week. PRESS ROOM (2015) will mirror the structures and activities of the biennale’s official preview week to establish a pirate press, questioning through conceptual briefs and artistic acts how information is constructed and disseminated. From Venice, we head to Berlin for the second half of the fantastic performance festival Month of Performance Art-Berlin where we will join the team of official bloggers and re/present our performance-video ‘hmmmmm’.